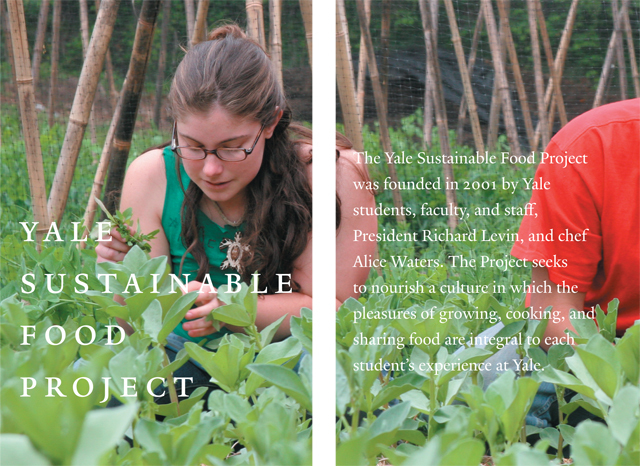 The existing visual identity for the Yale Sustainable Food Project, an initiative for environmentally-conscious eating at Yale University, was a lovely combination of traditional graphic elements such as wood engravings and classic typography. 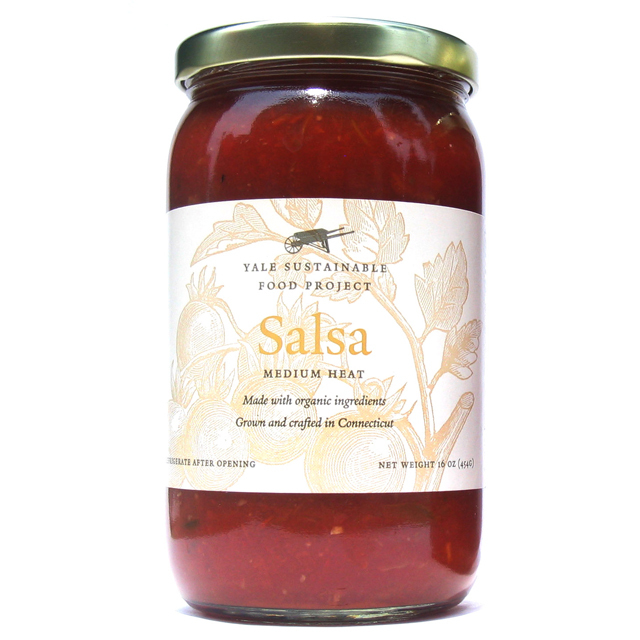 When asked to design packaging, a brochure, and other materials, I added fresh colors and bold forms, to convey sustainability as both a return to traditional values and a youthful, contemporary perspective. Project category: Design. 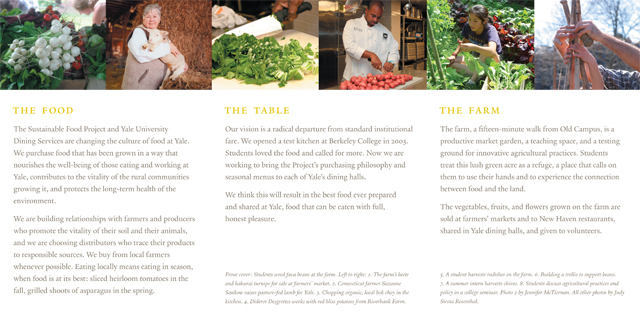 Tags: brochure, environment, food, packaging.